WAYNE, NJ (April 2, 2014) – JVC Professional Products Company, a division of JVC Americas Corp., today announced Raycom Media recently purchased 165 GY-HM650 ProHD mobile news cameras for local ENG, and plans to adopt the new BR-800 ProHD Broadcaster server across its news stations for managing live HD field reports from the cameras. The company began purchasing GY-HM650 cameras last year, and now has more than 300 for its ENG operations. Raycom Media owns or provides services for 53 stations in 37 markets in 18 states, including 32 stations that produce local news. 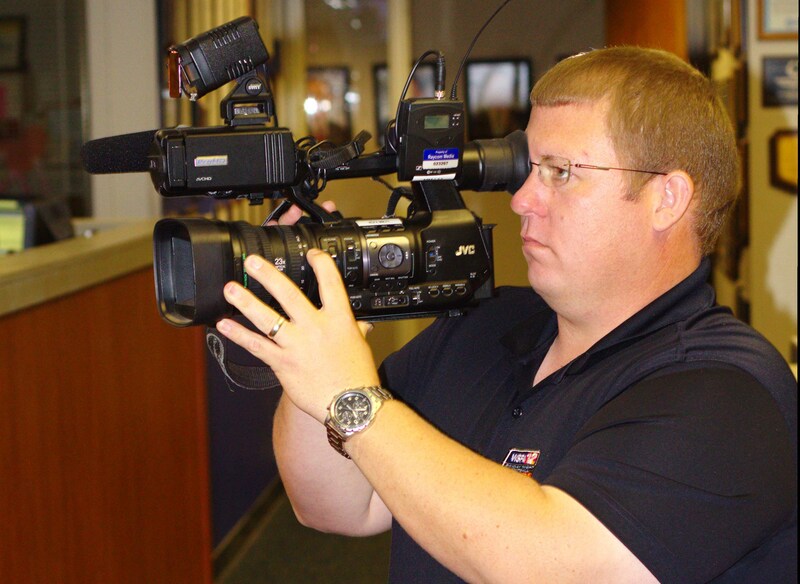 According to Dave Folsom, Raycom Media vice president and CTO, nearly all the news stations will be standardized on the JVC camcorders by the end of the year. “We are also increasing the number of hours of news and Web/mobile streaming at all our stations, which will in turn require even more cameras going forward,” he said. When equipped with a 4G LTE modem connected to the back of the camera via USB or a mobile hotspot, the GY-HM650’s unique dual codec technology allows shooters to stream live HD video back to the station for live reports while continuing to record footage to solid state memory cards. Folsom said Raycom stations are using the built-in streaming capabilities to improve newsgathering and increase their live presence. Reactions to the GY-HM650 cameras from Raycom shooters have been very positive, with high marks for its picture quality and sensitivity, as well as its compact form factor for “run-and-gun” applications. The HD camera features three, 12-bit CMOS sensors and a built-in Fujinon wide angle 23x zoom lens with auto-focus, optical image stabilizer, and manual controls. “This camera has surpassed what we have asked of JVC from a feature set point of view, and will be used as a benchmark of what is expected of a news camera for years to come,” Folsom added. The new BR-800 ProHD Broadcaster server powered by Zixi is the central component to JVC’s new Professional Streaming Services. Available as a physical server or cloud-based solution, Broadcaster receives live HD video from the GY-HM650 (with a free firmware upgrade scheduled for release in May), as well as the new GY-HM850 and GY-HM890 shoulder-mount ProHD cameras. It transcodes the signal for a variety of delivery platforms, manages signals for distribution through its built-in matrix switcher, and provides reliable content delivery for broadcast or the Web. 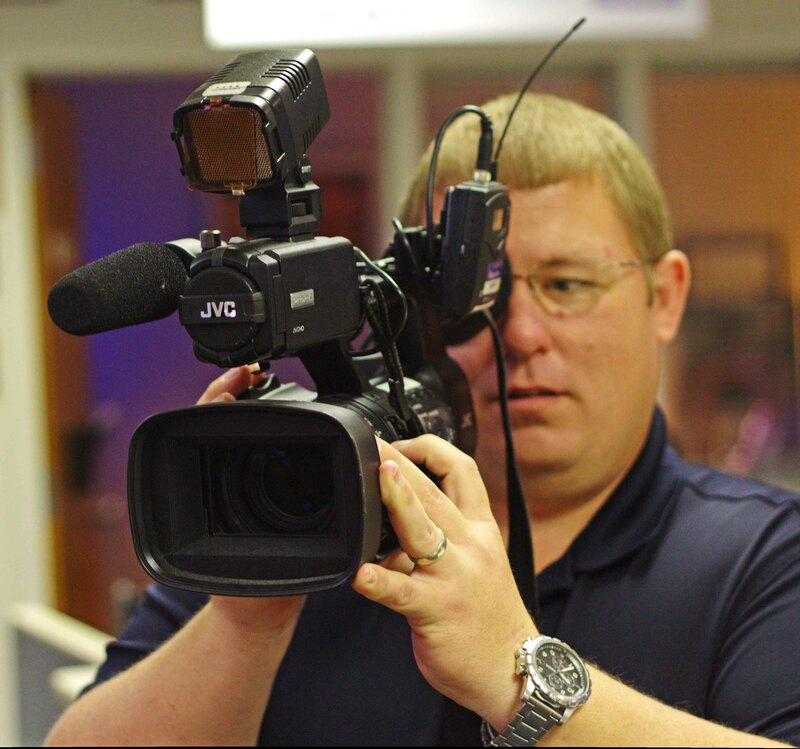 Caption: Raycom Media has purchased more than 300 GY-HM650 ProHD mobile news cameras, which are distributed across 32 of its stations that produce local news, including WSFA (pictured), the NBC affiliate in Montgomery, Ala.